The very thought of us playing on a Tuesday night sends shivers through my spine. I don't know what it is, and I don't know why, but we just can't win on a Tuesday night. 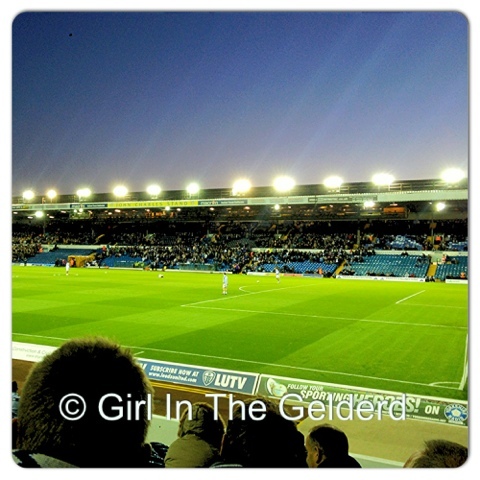 I underestimated just how cold it was last night and it only got colder as we sat down inside Elland Road and dusk became night. I didn't realise it was time for kick off when the teams came out, simply because, as I looked around, Elland Road, was empty. I mean, I know there are always spare seats in the East Stand, but there were spare seats in ALL areas of the ground, there were rows and rows and rows of empty seats in front of me, all of which are usually full. Hull had brought a fair few though and they were making all the noise. The game kicked off and we started really well, most notably we were actually playing the ball on the floor and knocking it about which Hull were failing to deal with. 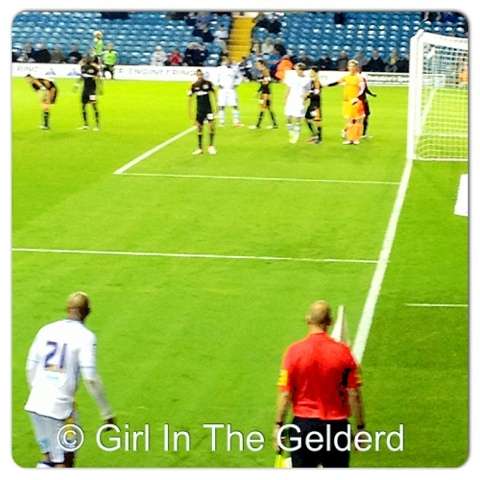 El-Hadji Diouf was brought down in the area by Joe Dudgeon and the referee (eventually) gave us a penalty. Luciano Becchio took the ball to the spot and put it past Amos to make it 1 - 0 on the 5th minute of time. We are ALWAYS more vulnerable when we score a goal but we looked to be quite comfortable and in the minutes that followed and looked to double our lead on the 9th minute as Diouf crossed in to Becchio but the keeper saved his shot. a minute later, Amos was called into action again as Rodolph Austin was the next to take a shot followed by Luciano Becchio after another ball from Diouf. On the15th minute Tom Lees was forced to clear the ball when Elmohamady sent a ball into the area. 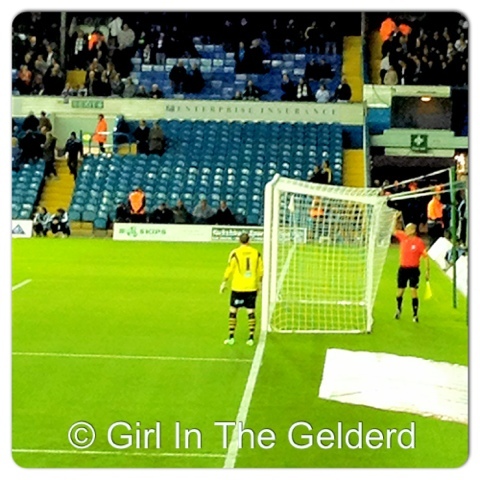 Quinn took the corner for Hull and Paddy Kenny saved. We were slowly losing control of the game and Ahmed Elmohamady found enough space to shoot from the edge of the box and even the score at one a peice on the 23rd minute. Hull were suddenly all over us and Elmohamady was involved again when he assisted Faye in the second goal for Hull just 6 minutes after the first. Following this goal, a puff of pink smoke filled the away part of the West Stand, one of the Hull fans had brought a smoke bomb....There really are no words to describe how pathetic that looked. Whatever grip we had on the game was now lost entirely and it looked like our starting 11 had been swapped for a Sunday League side. Silly errors were being made and we weren't closing Hull down when they were on the attack. Tonge wasn't having the best of games and his poor defending left Pearce with no choice but to bring down Aluko on the edge of the penalty area in the 38th minute, resulting in a booking for Pearce and a free kick for Hull, taken by Robert Koren. Paddy Kenny saved the ball however and the game continued. Hull were full of confidence and just before half time Corry Evans shot from 20 yards out. Michael Tonge found himself in the book when he gave away a free kick after fouling Robert Koren. The ref blew for half time and it couldn't have come sooner for us, we needed to get in the changing rooms and re-group, or get a rollocking from Warnock to kick them up the arse. Straight from the off Hull City had a corner, but we regained possession and Becchio's header went just wide of the goal. 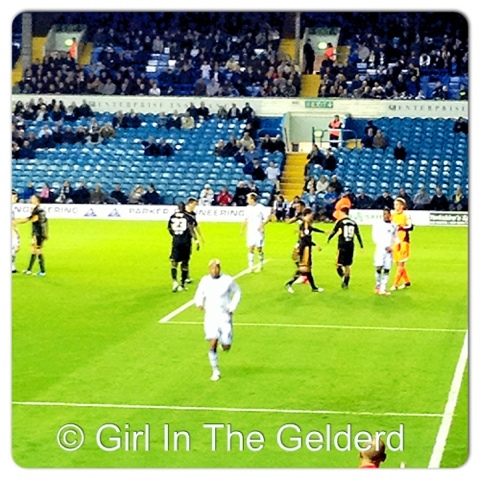 Rodolph Austin was next to have a shot on goal but Ben Amos had no trouble saving it. Shortly after, Luciano Becchio went down, un-touched, with what looked like a serious injury, Harvey Sharman came on to treat him but he still looked in a significant amount of pain. This was so worrying, with us losing Ross McCormack on Saturday it would have been terrible to lose Becchio too. Luckily after a few minutes, he played on, but he still didn't look comfortable and was replaced not long after by Dominic Poleon. Poleon looked to have just what we lacked, he was sharp and looked fierce when he was in possesion of the ball & his efforts very nearly paid off when he took a shot on the 65th minute. Jason Pearce and Sam Byram were forced to make clearances two minutes later but Elmohamady finally got a shot away which went just wide of the goal. Rodolph Austin retaliated to the threat with a shot from just outside the area but it just cleared the bar. On the 76th minute, Hull looked to have put the game well past us as Elmohamady provided another assist and Robert Koren put the ball past Paddy Kenny to make the score 1 - 3. Sam Byram tried to peg a goal back for us in the 79th minute from 20 yards out but Amos was on hand to make a save. 83 minutes gone, and Andy Gray was eventually brought on for Luke Varney. To little too late?! 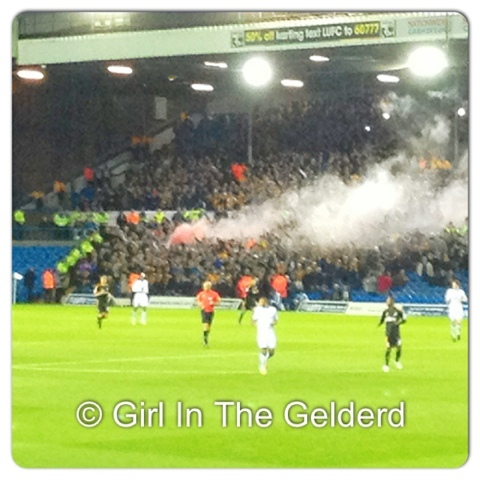 The substitue headed a goal in for Leeds on the 90th minute after he was fouled by Faye and given a free kick. El-Hadji Diouf floated a ball over and left Andy Gray to make it 2 - 3. In the closing minutes of the game, Amos was booked by the ref for timewasting and Peltier tried to get Leeds a point with a shot on goal but it went just wide. 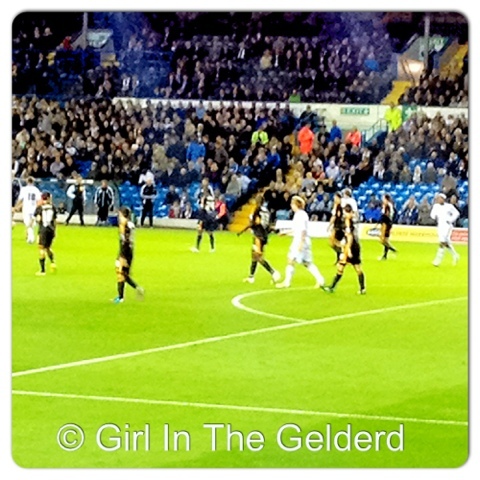 The game finished with Hull taking home all three points. Where do I even begin to try and analyse this game?! The scoreline flatters us slightly and I don't think it really describes how bad we played in parts of the game. Hull were playing a very clever 3-5-2 strategy, when they were attacking, they were attacking with their forwards and their midfield, Elmohamady being one of their very key men. We couldn't cope with the tactics they had, Tonge, White and Varney being the weakest players in Leeds shirts last night for me. El-Hadji Diouf continiues to surprise & impress me. I can't tell you how weird that is foe me to admit because to say I hated him would be putting it lightly. Hats off to him, he's come here and so far, worked his balls off for us and that is all we can ask of anyone!! Sam Byram was another shining light in an otherwise dull match last night too, he looks years beyond his age sometimes and I'm really pleased with the way he is coming on. Becchio sometimes unfairly gets the blame when we lose, but what people don't realise is that he NEEDS a playmaker, he is a goalscorer, he is the one that knows where to put it when the ball comes into the box & I thought he played alright last night, Luciano and Diouf were hardly at fault for what really was a poor, poor performance by the rest of the squad (apart from Byram & Poleon). Another player that did impress was Dom Poleon when he came on, he made an impact immediatley and had the pace we needed to inject some life into the match. I've kept relatively quiet about the 'takeover' on here, but last night really hit home for me just how much we need investment. This team just isn't good enough. Sure, we have individuals that can do the job, but you are only as good as the team that surrounds you and at the moment the bad outweighs the good. It really is soul destroying at the moment when you see the performances week in, week out and they seem to be getting worse. 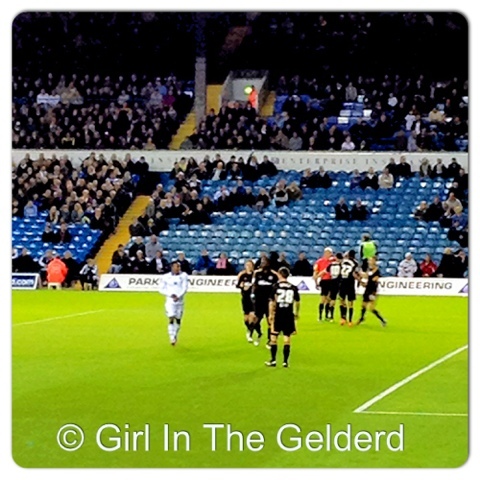 When you see the attendances at Elland Road dwindling I mean I know Tuesday night is rarely a good attendance but under 20,000 people and being outsung by the away support is just not Leeds United. The other thing I saw on Twitter last night was 'Warnock Out'....Give me an actual break. The good lord Jesus Christ wouldn't be able to do a better job than he can right now!! I am shocked he hasn't walked already if I'm honest, this is his job and his reputation at stake and I honestly beleive he's doing all he can right now & we need to get behind him, not give him a reason to leave. We have another tough game at Elland Road this weekend as we play host to Nottingham Forest. We also found out that Ross McCormack will be out for 6-8 weeks with his injury and he may have to have an operation too, Neil Warnock said "We're already without Ross and we know he'll be out for six to eight weeks now. It might be that he needs an operation on Friday because he chipped a bone alongside the ligaments. It's as bad as you can get from a twisted ankle without breaking it." It's just one thing after another for us at the moment, let's hope for some good news before the weekend for a change! !